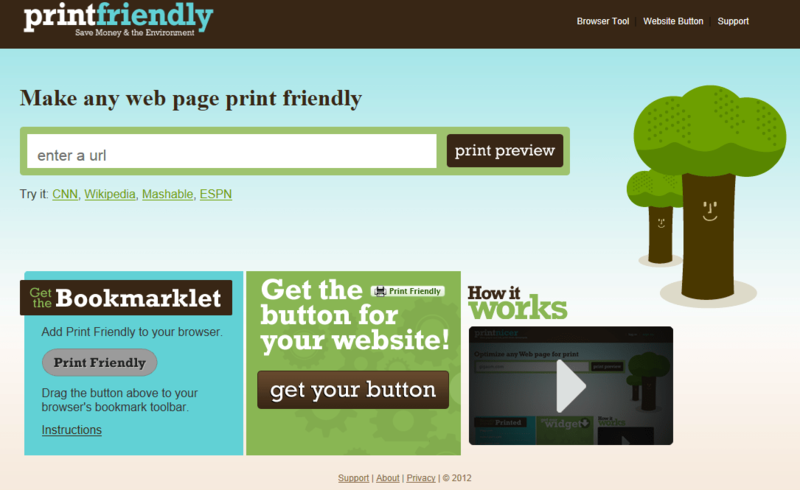 Uses: This website allows you to print all websites or webpages by making them printer friendly. Great resource to use when trying to print specific information from websites such as wikipedia, cnn, recipe sites, and much more. On a Green Note: helps save money and the environment by ensuring that you print only needed information minus all the advertisements :D!! !